Metro Footplates can be attached to posts for more stable shelving and can be bolted into the floor. Metro Footplates are available in Chrome, Stainless Steel, and Black. 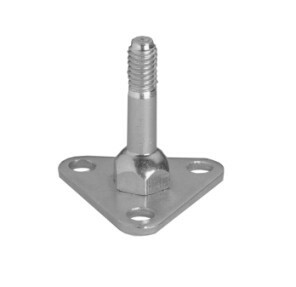 Because the footplate replaces the leveling bolt, you can attach them to the floor.